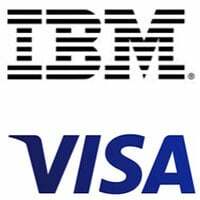 IBM is to integrate Visa Token Service into its Watson IoT cognitive technology platform to enable payments to be embedded into “any device connected to the Internet of Things (IoT)”, with all of IBM’s Watson IoT Platform customers gaining access to Visa payment services via IBM’s cloud service — rather than businesses needing to be approached on a one-by-one basis. The Watson IoT Platform allows businesses to connect to “billions of connected devices, sensors and systems around the world and then draw actionable insights” and is currently being used by more than 6,000 IBM clients. “Under this collaboration, companies can infuse secure payments across their entire product lines using the Visa Token Service, a new security technology that replaces sensitive payment account information found on payment cards with a unique digital identifier, via IBM’s Watson IoT platform,” IBM and Visa say. “Consider the consumer’s car,” the companies add. “As the car ecosystem connects to the Watson IoT Platform, a driver would be alerted when the car’s warranty or certification is about to expire or if specific car parts need replacing. “With this information, the driver can order parts with the push of a button, or schedule a service appointment at their preferred local garage. The driver could even pay for gas through a direct interaction between the car and the gas pump. “IoT is literally changing the world around us, whether it’s allowing businesses to achieve unimaginable levels of efficiency or enabling a washing machine to ensure we never run out of detergent,” says Harriet Green, general manager of IBM Watson IoT. A new US$200m global headquarters for its Watson IoT business in the German city of Munich. “Avnet, BNP Paribas, Capgemini and Tech Mahindra will collocate development teams at the IBM centre which will also act as an innovation space for the European IoT standards organisation EEBus,” IBM says.